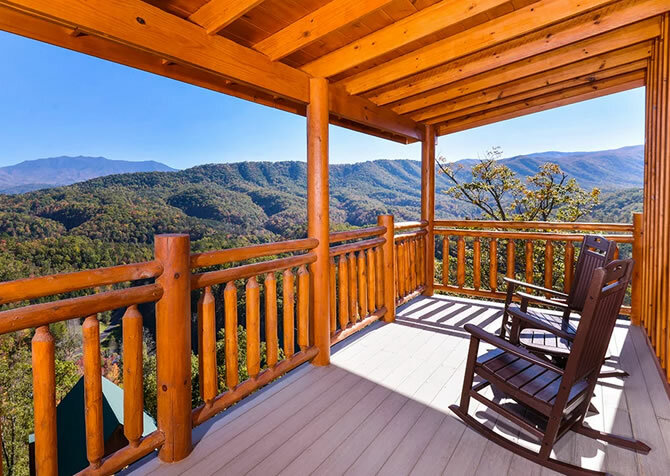 Get away to Gatlinburg, Tennessee, for rest and relaxation. A 5 bedroom, 3 bathroom cabin with a loft, Powdermill Lodge is a spacious, hand-hewn log cabin located on a secluded 3-acre lot. 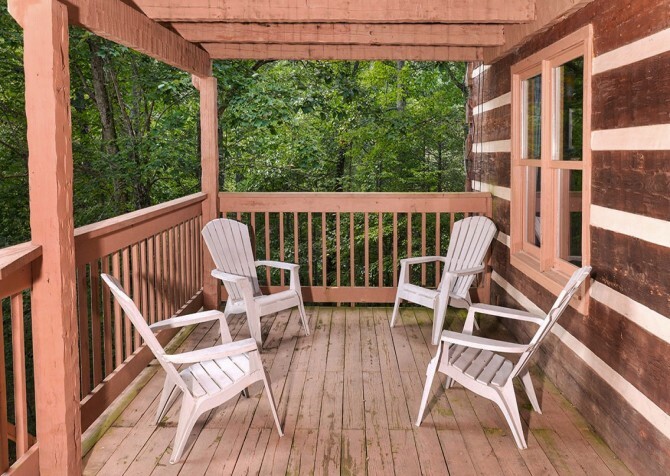 Just 6 miles from downtown Gatlinburg but also secluded, Powdermill Lodge offers the best of both worlds – the peace of the Smoky Mountains and the hustle and bustle of the shops, restaurants, and attractions of the town. Conveniently located just 6 miles from downtown Gatlinburg, Powdermill Lodge places you just a short drive from tons of entertainment and dining options. When you’re traveling with a group, being near so many fun things to do and see will be a huge convenience! 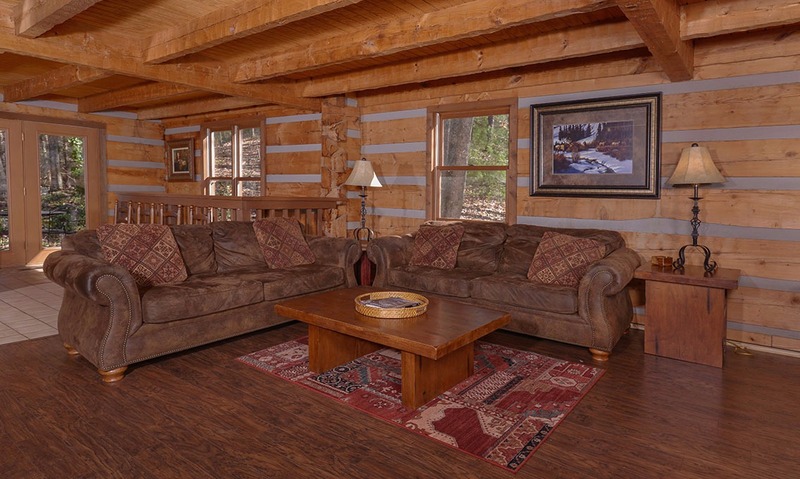 This cabin has room to sleep up to 16 guests, so you’ll want lots of options for everyone. 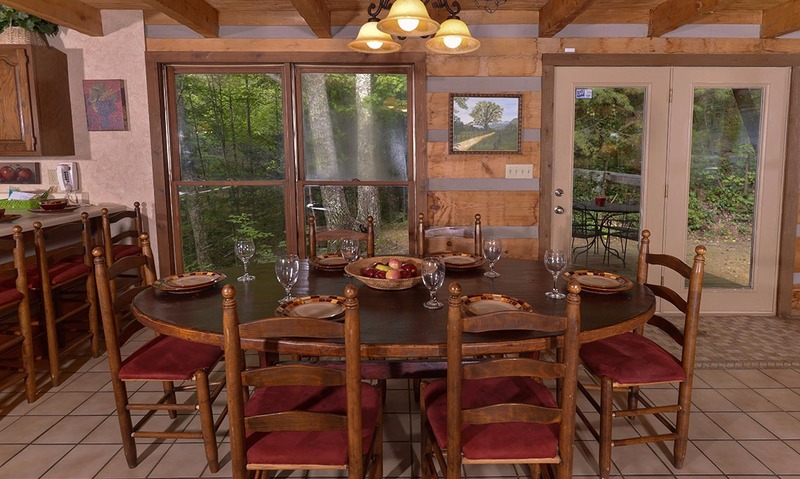 A variety of cuisines will provide something for every taste, and the many family-friendly attractions will ensure that both kids and adults have fun during their Gatlinburg vacation. 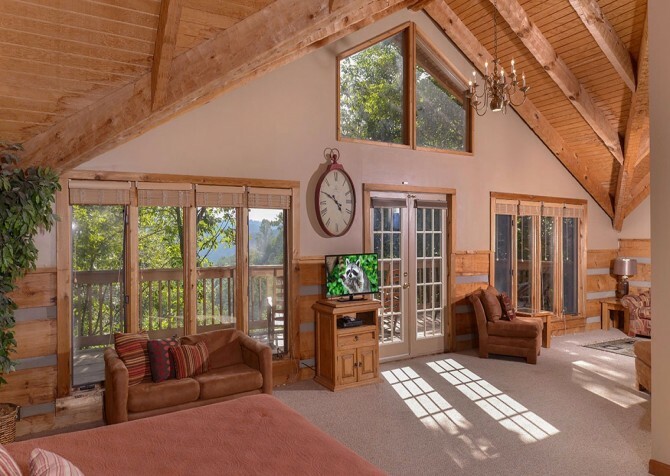 Ski at Ober Gatlinburg in winter, keep cool in summers while exploring Ripley’s Aquarium of the Smokies, or hit the Parkway for go karts, laser tag, miniature golf, arcade games, shopping, and more. 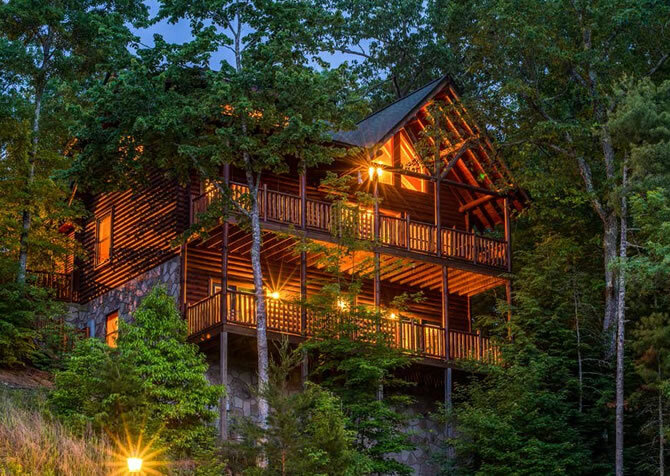 While you’re in the Smokies, take time to enjoy the Great Smoky Mountains National Park. With opportunities for hiking, biking, picnicking, horseback riding, and fishing, the park is an outdoor enthusiast’s playground! If your group starts to get cabin fever, head to the great outdoors for some fresh mountain air. 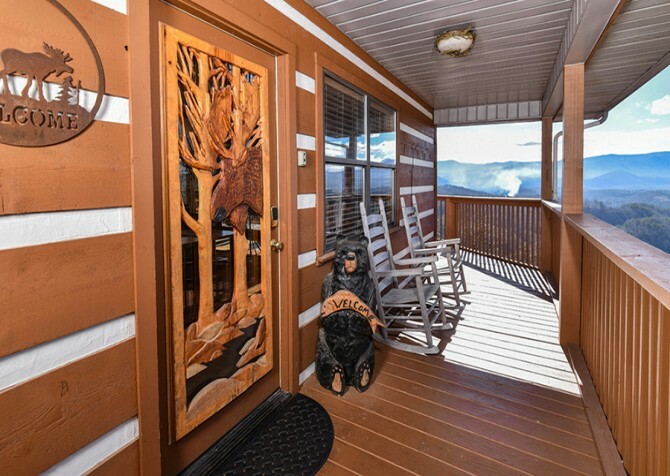 Also nearby is the Great Smoky Arts & Crafts Community, an 8-mile loop of independent artisans showcasing and selling their pottery, photography, leather goods, wood carvings, jewelry, clothing, toys, and more. 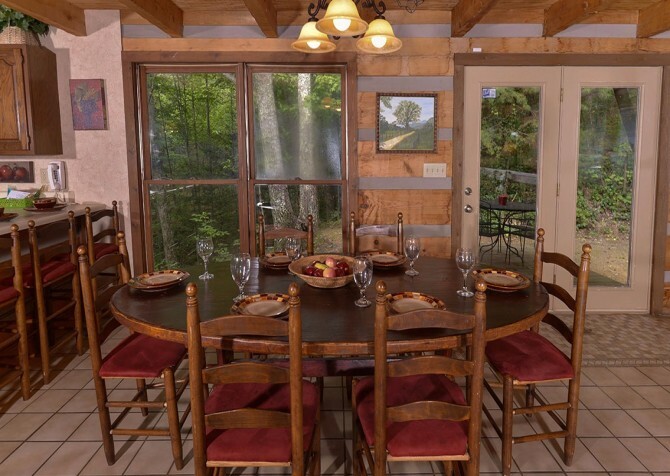 With so many unique shops, including several places to sit down for a meal or grab a snack, the community is perfect for a group outing. 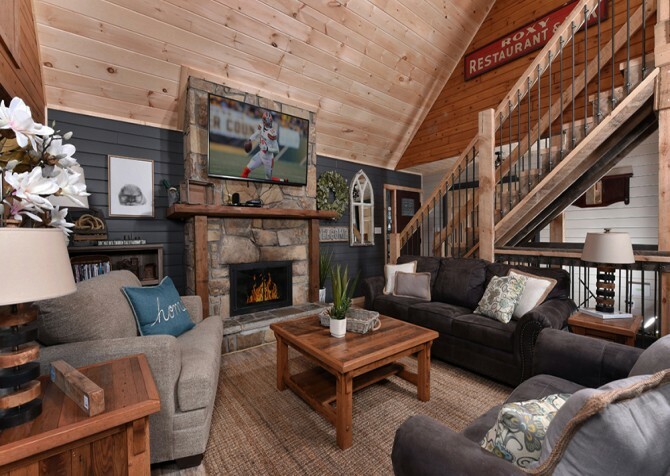 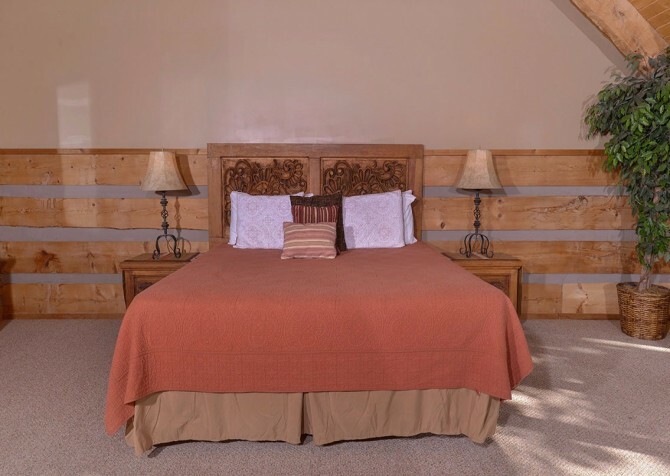 The comfortable furnishings and inviting spaces will be welcome after a day of checking out Gatlinburg. 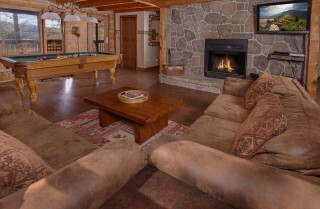 Boasting plush sofas, a stone fireplace, and a big screen TV, the living room will make guests feel right at home. Bring along some board games or decks of cards and play on the large coffee table while watching TV or movies. 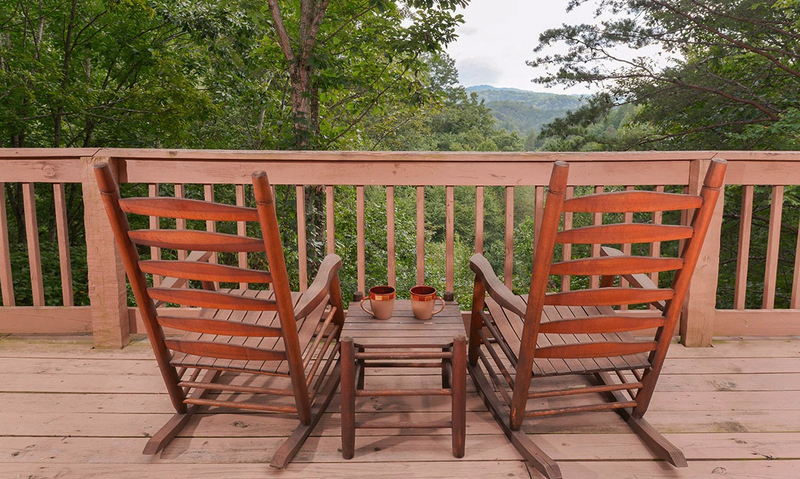 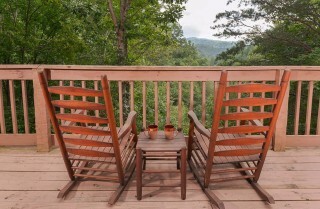 For some fresh Smoky Mountain air, step onto the deck and sit back in the rocking chairs gathered around. Or, head back inside for some friendly competition. 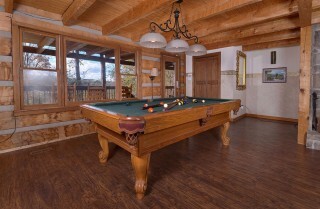 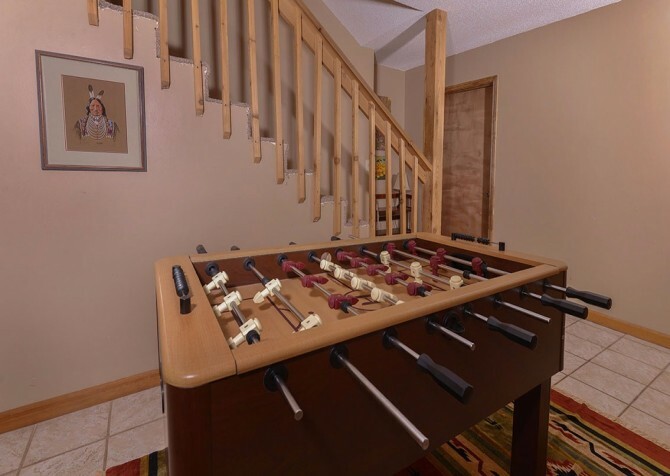 Guests can play on the foosball table or enjoy beautiful Smoky Mountain views while playing a few games of pool. 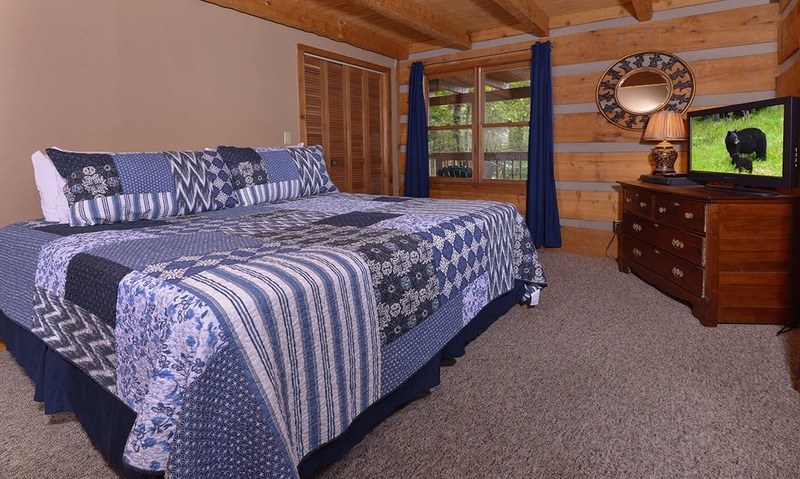 At the end of the night, guests can retire to the bedrooms of this homey Gatlinburg cabin for peaceful sleep. 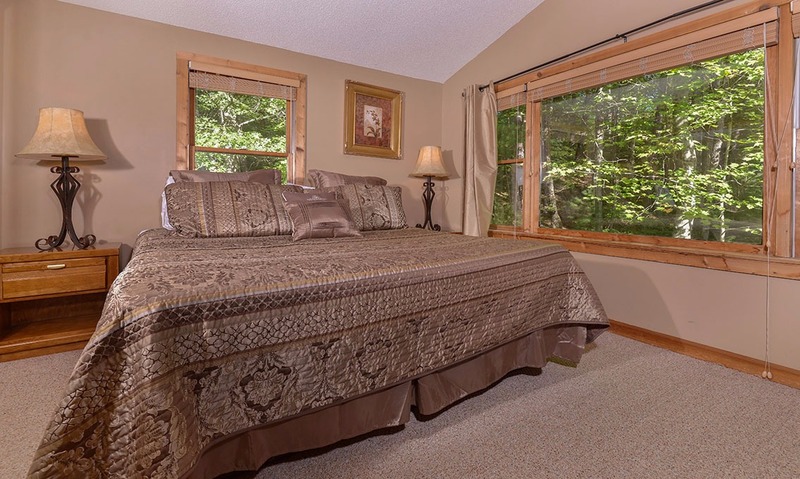 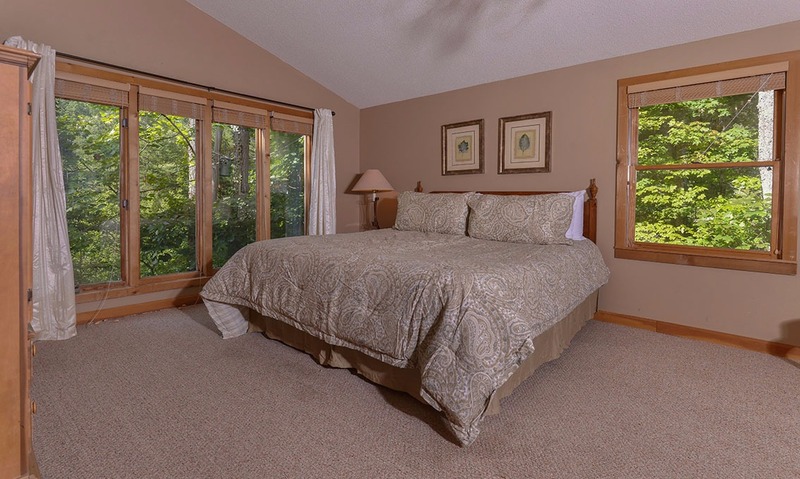 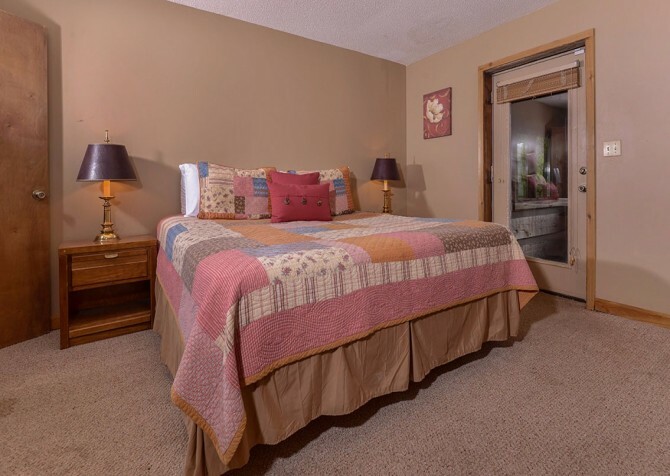 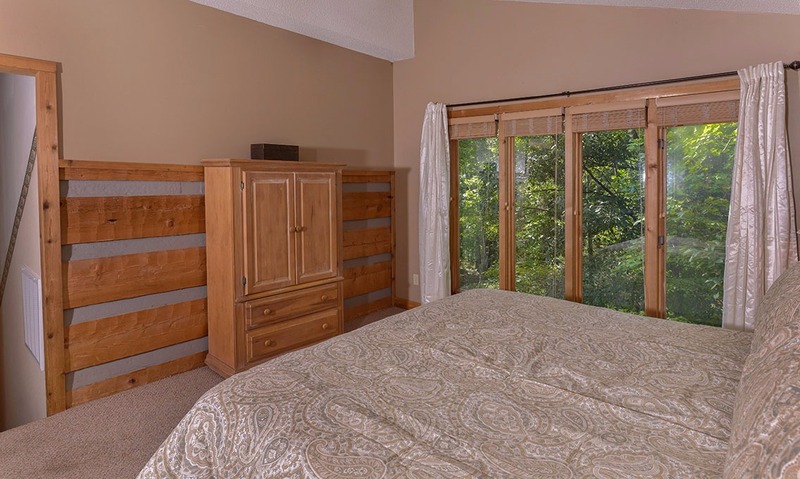 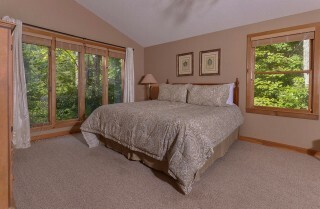 Each bedroom has comfortable bedding, and several have lovely wooded views. 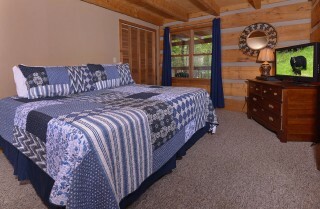 In all, there are 6 king size beds and 2 queen sleeper sofas – plenty of space for all 16 guests! 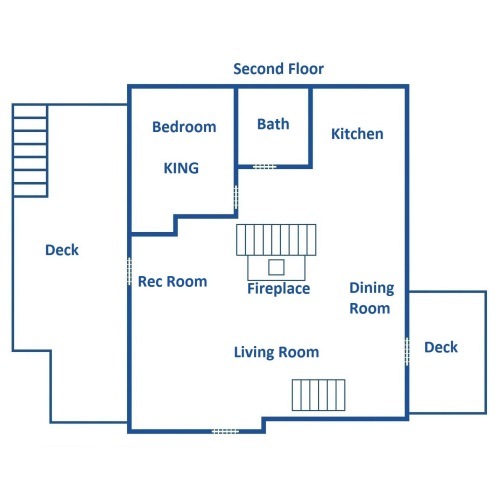 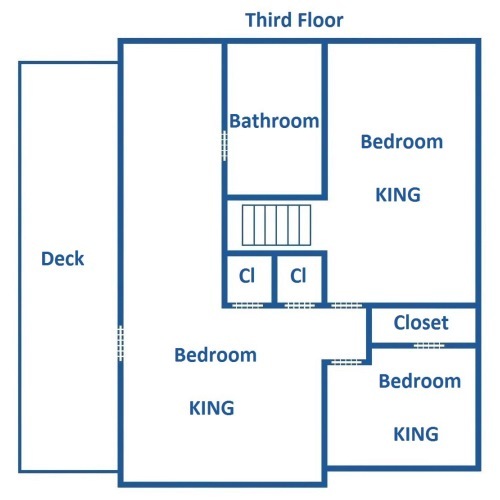 The king size bedroom on the third floor is a huge space opening up onto the deck. It features lots of windows, a TV, and several seating areas. Enjoy the sunlight on nice days, or stay warm inside on cold or rainy days. 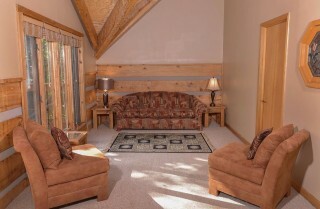 There will be plenty of space here for several guests to hang out and relax. 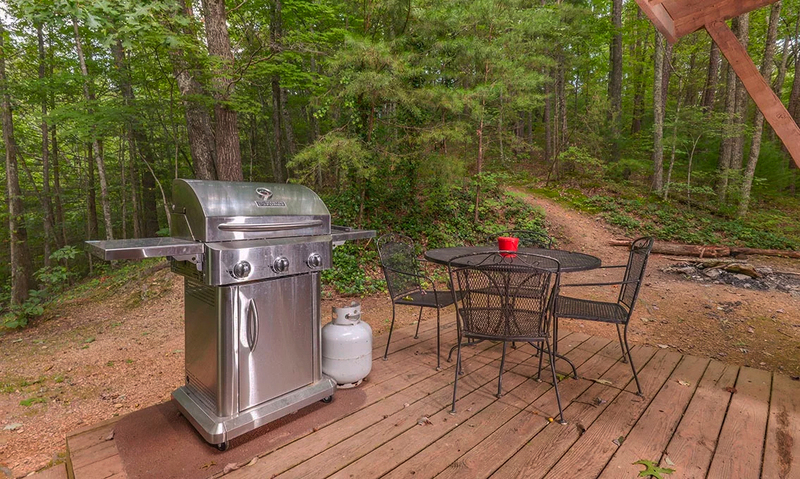 With a large group, you’ll want to have snacks on hand. 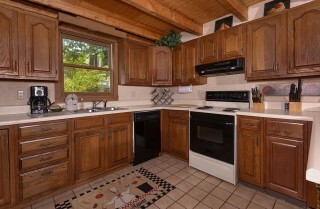 In the spacious kitchen, set out a game-day spread or prepare meals for everyone. There is plenty of counter space for prepping meals, and there is seating at a nice dining table and a breakfast bar in the kitchen. Pick up groceries before you head to the cabin to stock the kitchen with all you’ll need for making meals and snacks in your cozy Gatlinburg cabin. 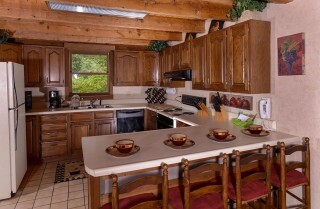 When a late-night craving hits, you’ll be glad you were prepared! 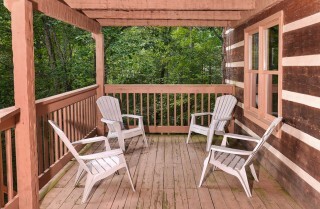 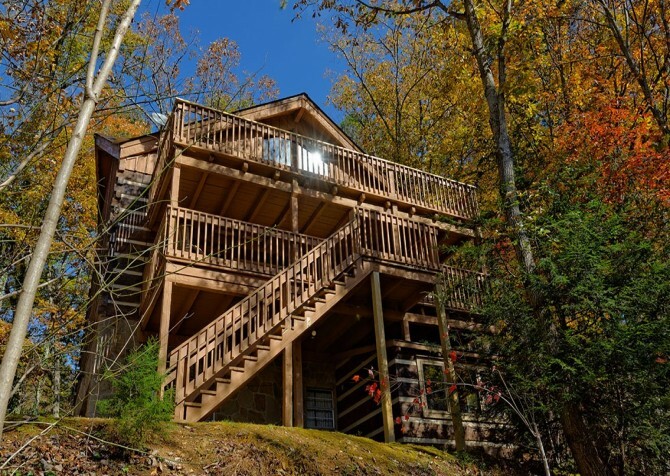 Guests will also love the conveniences this Gatlinburg cabin offers. 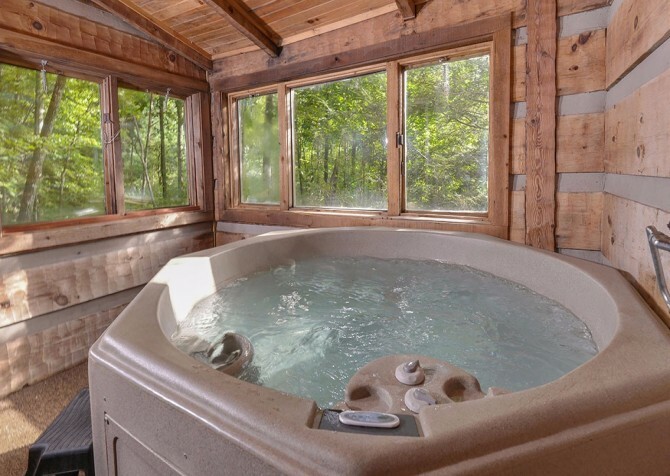 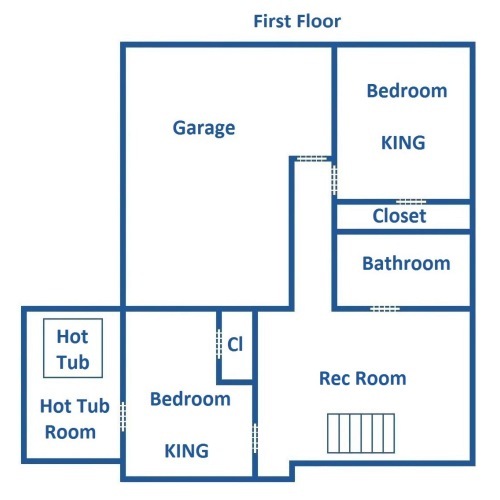 Take advantage of the washer/dryer, gas grill, and indoor jetted tub. 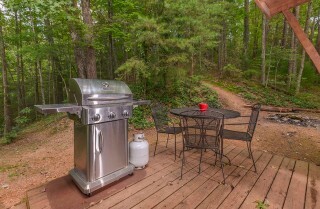 And since it’s pet friendly, you can bring your four-legged friend along for the adventure! 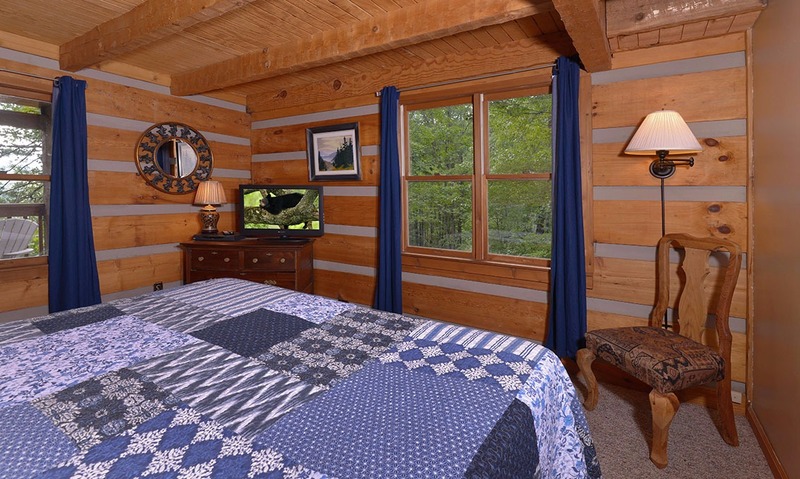 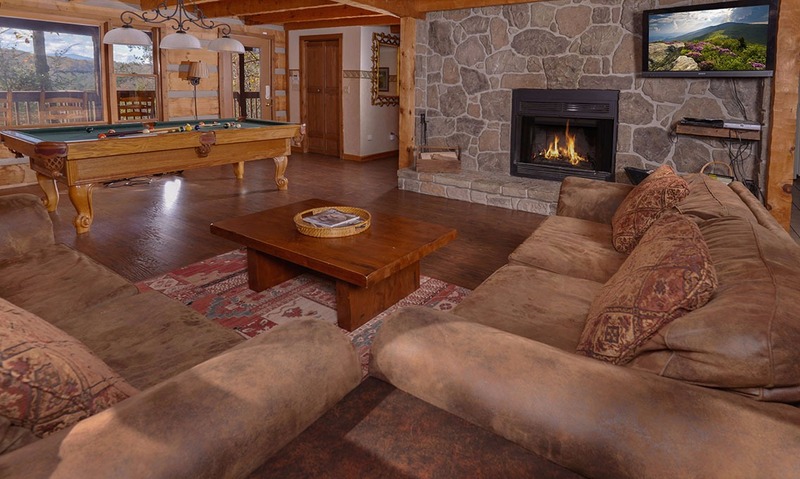 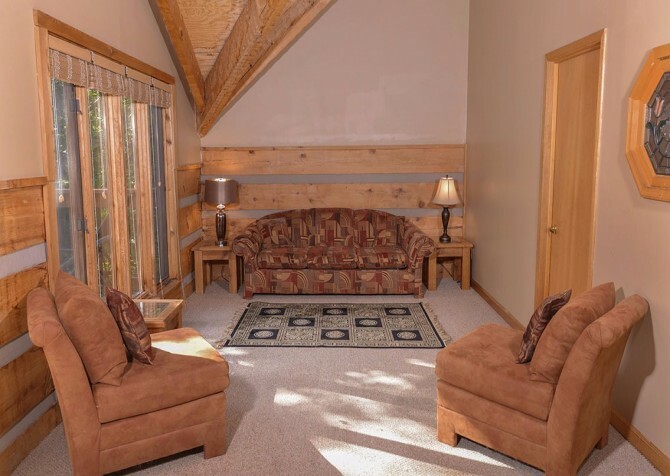 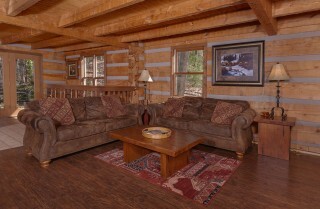 A 5 bedroom cabin with room for up to 16 guests, Powdermill Lodge is perfect for a family vacation or group getaway. Enjoy the convenient location, game tables, mountain views, and many amenities that will make your stay in Gatlinburg comfortable and relaxing. 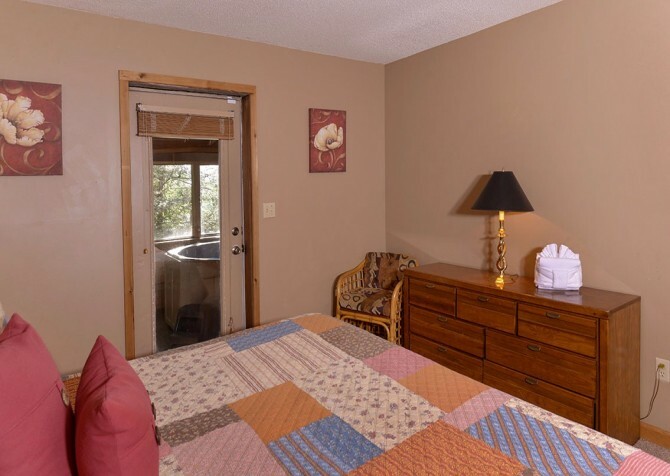 For more information about Powdermill Lodge, call our reservation line at 1.800.684.7865 today! "The cabin was kind of rustic which we liked. 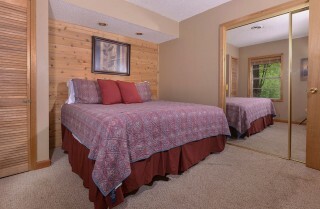 Beds were comfy, lots of towels; kitchen was set up for all our needs. Location was great and loved the privacy. 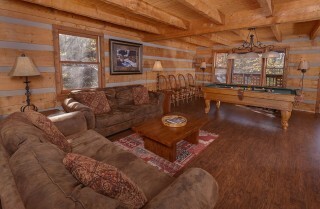 We all would like to come back to this cabin but would like to experience another one in the future."